Make Your Magento Store Speed Up! With the rapid-pace evolution of technology, online purchasing has become the preferred way of shopping for the majority of buyers. But even though ecommerce owners strain every sinew to decrease page loading times, ensuring high and stable website performance remains a challenging task. Web performance has a crucial impact on numerous aspects, including customer satisfaction, conversion rates, search engine rankings, and, consequently, the bottom line. It’s as plain as the daylight that clients will not shop from a buggy and slow web store. According to statistics, 47% of online shoppers expect a web page to load in 2 seconds or less. And if it takes more than 3 seconds for a page to load, 40% of all customers will leave. Thus, keeping their websites fast and easy to access is one of the top priorities for Magento store owners in order to provide impeccable customer experience and fend off cart abandonment. 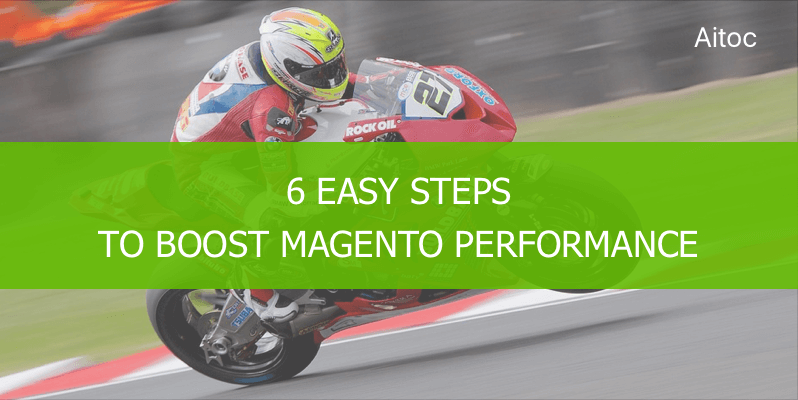 In this article, we will share some highly effective, yet simple ways to improve Magento frontend performance. But before that, let’s get started with an overview of reasons why Magento can run slow. Why Magento Performance Can Be Slow? In this sample, Alexa rates 67% of the sites as “very slow” and “slow”. So the slow speed of Magento is a real problem even for huge online retailers. Let’s start from the very beginning to find out the reasons of Magento’s slow performance. In most cases, the owner tends to minimize spendings on a Magento start-up. Also, he might consider the store traffic to be even throughout the day and thus ignore the fact that usually most sales are made in rush hours. This is why he is likely to choose a server with default settings and low productivity. Unfortunately, these settings do not go with Magento. Sometimes hosting platforms are not scalable enough to address the needs as an ecommerce business grows. As a result, Magento site is hosted on a server with improper software and hardware. When the website begins to generate sales and traffic, this problem is further escalated. A retailer does his best to generate more sales by using various marketing and SEO tools. But traffic increase might easily lead to a server crash if the server is not configured properly. So the sales stop at all until the server is up again. Slow server during traffic peaks causes an enormous increase in the bounce rate. So, here is the paradox: the more traffic such stores get the fewer sales they will eventually have. This is evident: customers are looking for a stable and speedy shop. Furthermore, slow speed and site unavailability decrease store’s Google page ranking, which annihilates the store owner’s marketing and SEO efforts. Here’s another issue to consider: due to numerous extensions installed and/or improper server settings very often Magento back-end turns out to be even slower than the front-end. 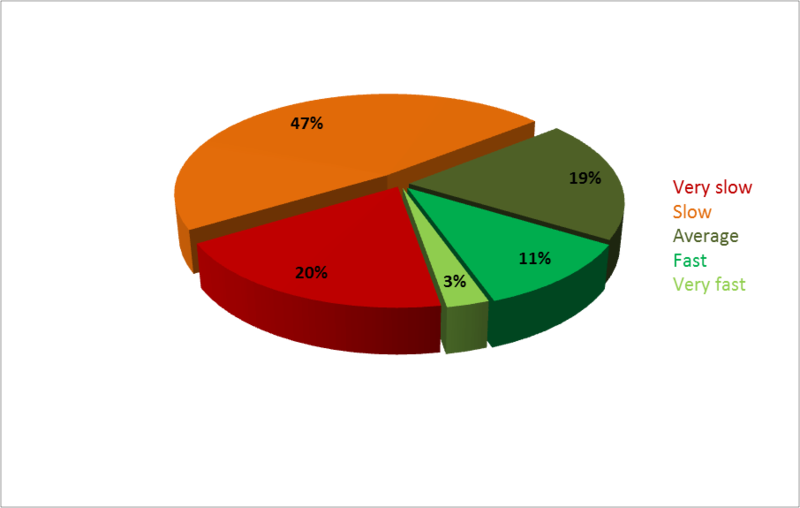 It significantly increases the time spent by admin to manage the store. Frustrating, isn’t it? 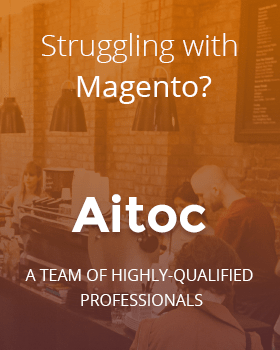 Magento was designed to be extendable and to serve any, even the most demanding user. To accommodate this, the system isolates each feature so that changing that feature would not affect the rest of Magento. As a result, lots of files are read in thousands of folders for every single web store visitor. So, in a way, Magento’s best quality (flexibility) causes its main drawback – slow performance. Thus, it is highly important to optimize the number of extensions and make sure that only those that your store actually benefits from are being installed. How to Make Magento Run Faster? Slow performance is a challenge, but luckily you can overcome it if you do some easy manipulations with your site. Here are our top 6 things that will ensure an instant boost to your Magento-driven store. Page caching is a great method of decreasing the number of database operations required for each page request and so improve the website loading speed. When viewing a cached page version, users can access the information they need a lot faster. Varnish is a common caching tool for Magento. However, it uses the database for most requests, which may increase its load, especially during traffic peaks. Specialized extensions like Full Page Cache are able to fully cache the page without initializing Magento, resulting in a way lower server load and quicker page rendering and loading. It may seem surprising, but the majority of online merchants ignore the necessity of optimizing images for their stores. It takes significantly less time to load the images that are compressed. You can reduce the image file size leveraging well-known photo editors like Adobe Photoshop or take advantage of available online image optimization tools. TinyPNG, Online Image Сompressor are just a few of them. Another way to optimize images in Magento is image lazy loading. Thanks to this simple technique, images on the website are updated only when the user scrolls down the page. Thus, the time required for a page to load is reduced. In Magento, categories and product attributes are stored in different database tables. By enabling the flat catalog for categories and products, you can unite all product data into one instance for Magento to extract. It accelerates the time it takes for the system to respond to the database queries, therefore improving website performance. This is especially relevant for large product catalogs with thousands of items. Set Use Flat Catalog Category and Use Flat Catalog Product to YES. Webstore’s performance should be checked on a regular basis. This is an important aspect since it allows you to find out what affects your page loading times, how new extensions or plug-ins perform, what can be improved, etc. There are a variety of free performance monitoring solutions available on the market. The page speed can be measured with the help of such tools as GTMetrix, Pingdom, Uptrends, and many others. Moreover, robust extensions like Server Load Monitor can be leveraged to get a comprehensive view of your Magento website performance. Being a highly flexible and scalable ecommerce platform, Magento empowers users to enhance its functionality with various third-party modules. But installing too many extensions can have a deteriorating effect and slow down the website’s performance. Thus, it’s a wise idea to make an inventory of your Magento extensions. Determine the modules you use most and remove the ones that turned out to be ineffective. To stay ahead of the competition, your website should be armed with only proven and highly efficient Magento extensions. And the last but not least, it’s vital to ensure you have the latest Magento version installed. New releases come with better functionality, fixed bugs, and, most importantly, performance improvements. So, update your installation regularly to achieve higher speed and optimized performance. Beyond a shadow of a doubt, the web store load speed will remain one of the most important factors affecting conversion rates and SEO rankings in the ecommerce industry. We hope that our tips will help you accelerate your Magento store performance, resulting in better user experience and customer loyalty.